Founded in 2005, the Women’s Mafia is New York’s premiere women-run Social Club. The Women’s Mafia is founded on the idea that a large group of women getting together is, in and of itself, a powerful thing. Women’s Mafia members get their stilettos in the door. The mission of the Women’s Mafia is to support emerging and up-and-coming designers, artists, small businesses, products and causes we believe in, while hosting remarkably unique and special events for our members. Through our online magazine www.womensmafia.com we cover top tier fashion, lifestyle, art and beauty stories for our readers in New York and around the world. The Women’s Mafia is made up of talented, creative women, and select specially-invited men, from all industries and backgrounds. Our events and happenings are about much more than just networking. We make things happen and have a very good time in the process. To request our support of your cause or brand, or our presence at your venue or store please email “La Madrina” at marcy@womensmafia.com. Who are the members of the Women’s Mafia? The members and readers of the Women’s Mafia aren’t just fans of fashion and beauty, we are collectors with a higher calling. We have an extensive mailing list and a fervent online following. Our demographic includes thousands of fashion forward and influential women and men, predominantly between the ages of 20 – 45. Our presence has been requested at the most prestigious venues and events in New York, The Hamptons and major cities around the country. We regularly host fashion shows and designer showcases to support and promote both up-and-coming and established designers. Charities and causes that the Women’s Mafia has supported with events include: GLAAD, Habitat for Humanity – New York City, Red Light Children, The New York Public Restoration Project, The National Institute for Reproductive Health, Bette Midler and Michael Bloomberg’s Million Trees NYC Initiative, Seeds of Africa and more. We’ve also partnered with FashionIndie.com, Whatswear.com, EngieStyle, SoHoNYC.com, Style Defined and other well-known online fashion magazines, to co-host parties and events around the city. Women’s Mafia founder Marcy Clark is passionate about your social life. A natural event planner and host, nothing makes Marcy happier than introducing you to your next business partner, gym buddy, boyfriend or best friend. Marcy is the founder of Marcy Clark PR and Events, a boutique PR and Branding consultancy run out of Gramercy in Manhattan. Marcy has worked on brand development, consumer outreach and public relations campaigns from California to the U.K. with a variety of clients in cities such as Manchester, London, Edinburgh and New York. Her areas of expertise include publicizing artists, jewelry designers, interior designers, furniture studios and luxury lifestyle products and services. She has secured placements in top media outlets such as The New York Times, The Wall Street Journal, The Washington Post, Reuters, Glamour, Elle, Vogue, Women’s Wear Daily, Lucky, Time Out New York, Perez Hilton, Daily Candy, Fashion Tribes, NBC, CBS, ABC, WGN, Business Talk Radio, Bloomberg Radio and NYC TV. Marcy serves as a chair on various non-profit event councils and committees, including being the co-chair for GLAAD’s prestigious Annual Art Auction. Marcy also finds time to act and is a burgeoning television presenter. In addition to regular performances in theatre productions around the city, she has also appeared in several films, a promo for NYC TV, NBC New York, a guest expert spot for the Design and Home Channel, a commercial for Conair and documentaries about the Women’s Mafia. The connections she garners in the PR, Events and Arts worlds give her great pull and influence to use for Women’s Mafia events. Venues, brands and nightclubs like to work with the Women’s Mafia because Marcy understands how to bring collaborators together on a project and ensure everyone gets peerless branding and sales results. A Network News Producer and Published Writer, Ashley has always had a desire for being in the know and up on the latest news and events. 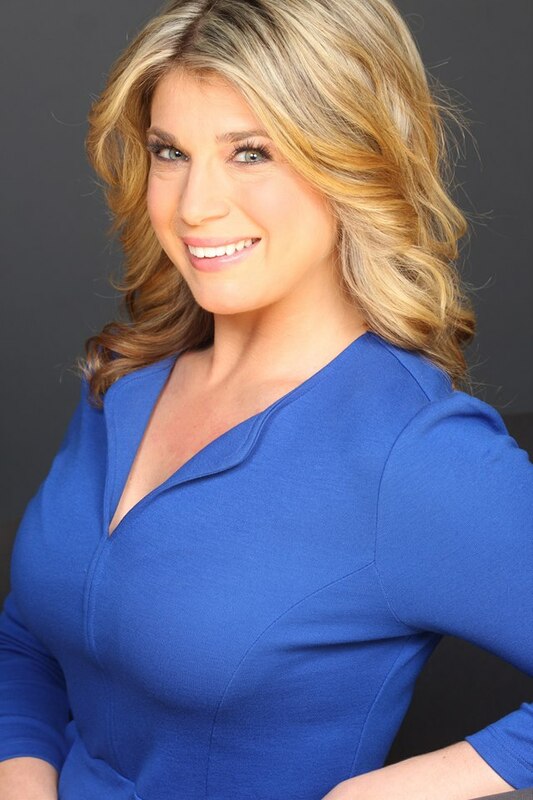 Ashley has an eye for talent, booking exceptional on-air guests for the #1 cable news channel, FOX News. Ashley is constantly sought out by publicists and managers from a variety of industries, all trying to get press for their clients. The connections and access Ashley has through the media world allows her to better promote Women’s Mafia. Ashley is thrilled to be Women’s Mafia Relationship columnist, offering her whimsical take on love and dating for the woman who wants it all. Ashley has numerous published articles focusing on the ins and outs of relationships featured on FoxNews.com. Many of Ashley’s works have been picked up by major relationship digital media outlets like, YourTango, eHarmony and PopSugar. Ashley is passionate about working with kids and empowering young girls, as evident in her contribution to the non-profit, Figure Skating in Harlem. As a competitive figure skater her young life, Ashley now sees her unique skill a gift she can pass down to young girls, teaching them not just about the sport, but about focus and determination, as well. To submit a dating, relationship or love question to Ashley Papa, or submit yourself as a Dating and Relationship Expert for her features, email info@womensmafia.com . Elisha Dang has been an integral part of Women’s Mafia events for the past four years and is psyched to have created the web site for the all-powerful social club. A web and graphic designer for over a decade, Elisha brings a wealth of knowledge about the latest and most innovative web-based technologies. She has worked on all aspects of online marketing and will be assisting the Women’s Mafia media partners with their featured content, as well as sharing her favorite new gizmos and gadgets in her technology posts. She is also a natural fashionista and will be showcasing emerging and mid-career designers and her favorite handbag and accessories labels.